The SSP, R.K. Jaiswal, today marked an inquiry into the allegations of a Chandigarh-based sound system provider who had alleged that he was tortured by the police at the bus stand police post last night. 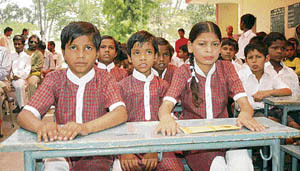 Students studying in Punjab School Education Board affiliated schools are finding it hard to study without books. They are trying hard to get hold of books before summer vacation. The Association for Democratic Rights, an NGO, would look into the boiler blast case that took place at Veer Garments here a few days ago. The Haibowal police has arrested Pawan Kumar, a resident of Doraha, and Om Prakash, and recovered 105 stolen bags of wheat. They were arrested while they were allegedly unloading the bags from their vehicle this morning. Residents of Chander Nagar, Preet Vihar and Anand Nagar are facing water shortage thanks to a snag in a tubewell supplying water to these areas. 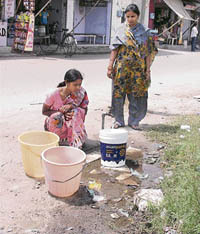 Residents have been going without water for the past three days and complaints to the MC have fallen on deaf ears. 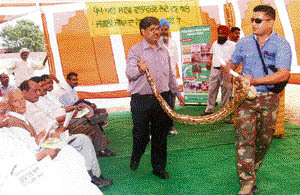 The controversy over holding of python and snake shows by the wildlife department, Punjab, with the help of an NGO, Wildlife Conservation Society, Nawan Shahr, has further deepened as the People For Animals, Ropar, has complained to forest minister Tikshan Sood, activist Maneka Gandhi and other officials of the department in this regard. Congress councillors in the city today decided to give a memorandum to the deputy commissioner and senior superintendent of police against the registration of cases against two councillors during the past few days. A large number of employees of various departments, mainly private and government school teachers, have been visiting SAD and BJP leaders to get their election duty cancelled or changed to more suitable places. The SAD (Panch Pardhani), led by Daljit Singh Bittu, today resolved to motivate the rural population to go for unanimous panchayat elections. 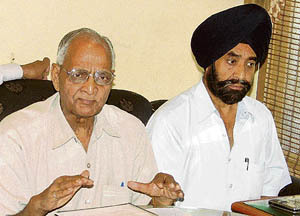 Newly elected district president of the Punjab and Chandigarh College Teachers Union Gumeet Singh Hundal is upbeat about the early implementation and resolution of outstanding demands of the non-govt colleges of the states. Ludhianvis had a memorable experience at Sutlej club here last evening when singer Rageshwari enthralled them for more than two hours. The mesmerising performance left the audience spellbound. Darshan Dawar was elected president of the Green Park Sabha at a meeting of the sabha, according to a press note here today. Surjit Singh Nota was the presiding officer. The tehbazaari team of the MC today failed to achieve success when it had gone to demolish jhuggis in the Focal Point area. 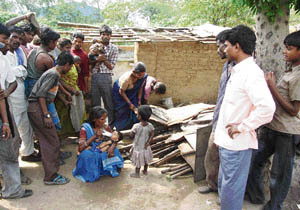 The team removed only three-four jhuggis and confiscated some goods. It left after giving jhuggi dwellers a warning to vacate the place themselves. Knowing that contesting election on the ticket of a party in opposition is like swimming against the tide, Sunita Rani Sharma of Sihar village, a Congress candidate for the zila parishad elections from Dehlon, aspires to bring about development in the area if she is inducted into the district development body. The North India Wire Drawing Association has blamed the PSIEC for shortage of wire rod in the market. The court of additional sessions judge M.S. Virdi has sentenced Kuldeep Singh, alias Bhinda, of Payal and Jeewan Singh of Sohia village, Jagraon, to 12-year rigorous imprisonment each on charges of possessing narcotics. Keen on kickstarting the functioning of the electroplating cluster, the Ludhiana Electroplaters Association is planning to forge tie-ups with banks and financial institutions to provide finance facilities to members keen on joining the cluster. The district agriculture department has asked farmers to stick to the ordinance issued by state government regarding early sowing of paddy in the region. Students pursuing various degree and diploma courses at Punjab Agricultural University (PAU) here are all set to appear for their semester examinations, which are scheduled from May 9. KVM in association with HBO group, a nongovernmental organisation, organised a seminar for students on natural ways of handling problems related to stress. Eemaan Thind, a student of class XI, Sacred Heart Senior Secondary School, BRS Nagar, has brought laurels to the institution by qualifying as “state winner” from Punjab in the annual environmental examination “The Green Olympiad” organised by TERI. She is also the recipient of scholarship worth Rs 3,000 from the ministry of environment and forests, Government of India. Numerous events in countries spanning the globe will mark World Asthma Day today. These activities, whether held in schools or hospitals, will have in common the positive theme — “You Can Control Your Asthma”. Dr Neeraj Gupta, additional professor of pulmonary and critical care at PGI, Chandigarh, has said that although important discoveries in diagnosis and treatment of allergic disorders have been made over the years, lot many Indians still suffer from asthma, rhinitis, sinusitis and other allergic and immunological disorders and the prevalence continues to rise. To mark the “World Asthma Day” falling on May 6, a free asthma check-up camp for adults and children was held at the OPD block of Dayanand Medical College and Hospital here yesterday. Dr John S. Duncan, chairman, department of clinical and experimental epilepsy at the National Hospital for Neurology and Neurosurgery, London, and medical director, National Society for Epilepsy, UK, visited Dayanand Medical College and Hospital here yesterday. 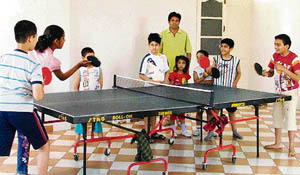 A table tennis academy with modern facilities to train budding players has come up in the city. Jawahar Bhandari, currently ranked No. 3 in the veterans’ category in India, has started Ping Pong Table Tennis Academy in the Block G of Bhai Randhir Singh Nagar locality to train young aspiring boys and girls.